This entry was posted in Crafts 手作仔 and tagged Crafts, crochet hat, knit booties, Knit christening gown, 手作仔, 送給表姨甥女的冷裙、冷鞋子和帽子 on December 16, 2013 by littlepandamommy. This entry was posted in Crafts 手作仔, Little Princesses 中意混血兒 and tagged Crafts, little princesses, 中意混血兒, 手作仔, 最新手作 － 鈎織蝴蝶冷帽 Lastest Craft Project － Crochet Bow Beret, 最新手作仔, 鈎織蝴蝶冷帽 on November 14, 2013 by littlepandamommy. 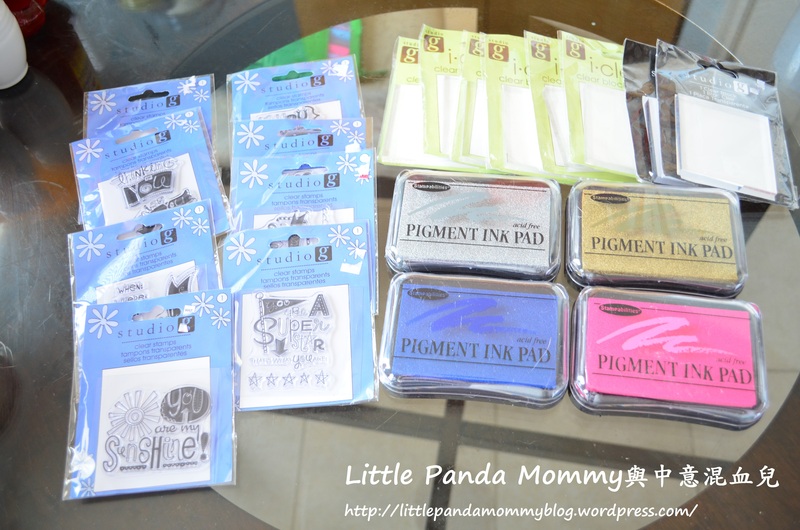 This entry was posted in Crafts 手作仔, Little Panda Mommy's Family 生活點滴, Little Princesses 中意混血兒 and tagged Crafts, 初製印章卡, 小公主的奬勵卡, 手作仔 on September 23, 2013 by littlepandamommy.